March is almost here and that means that spring is just around the corner - yay! 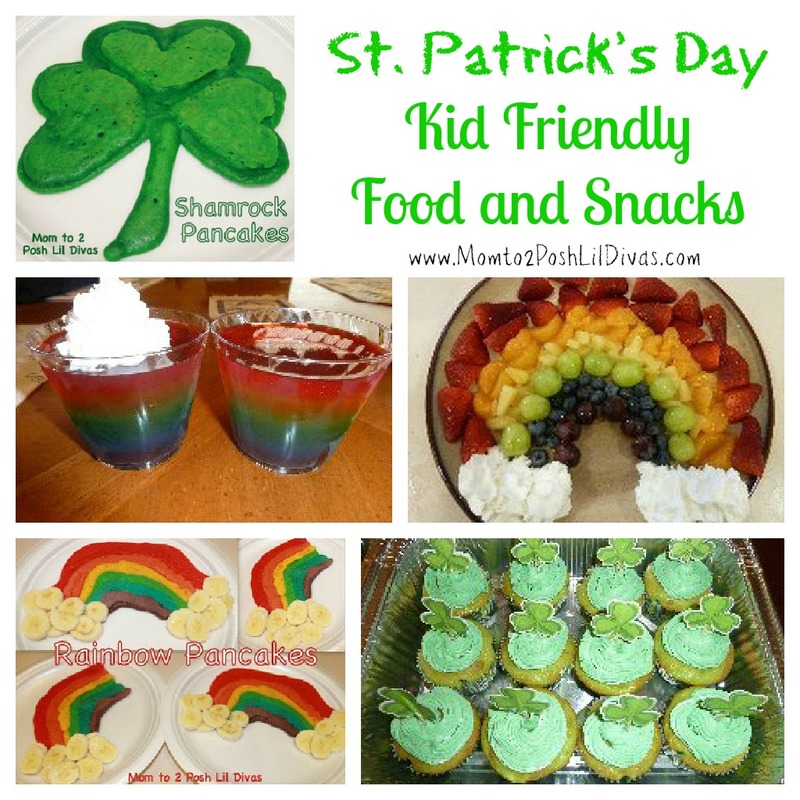 It's time to start thinking about St. Patrick's Day, Easter, spring, rainbows and flowers. Can you tell I love this time of year? There is something about all the new life after winter that makes me happy. St. Patrick's Day and Easter are so close together this year that I wanted to jump right in and get things going. 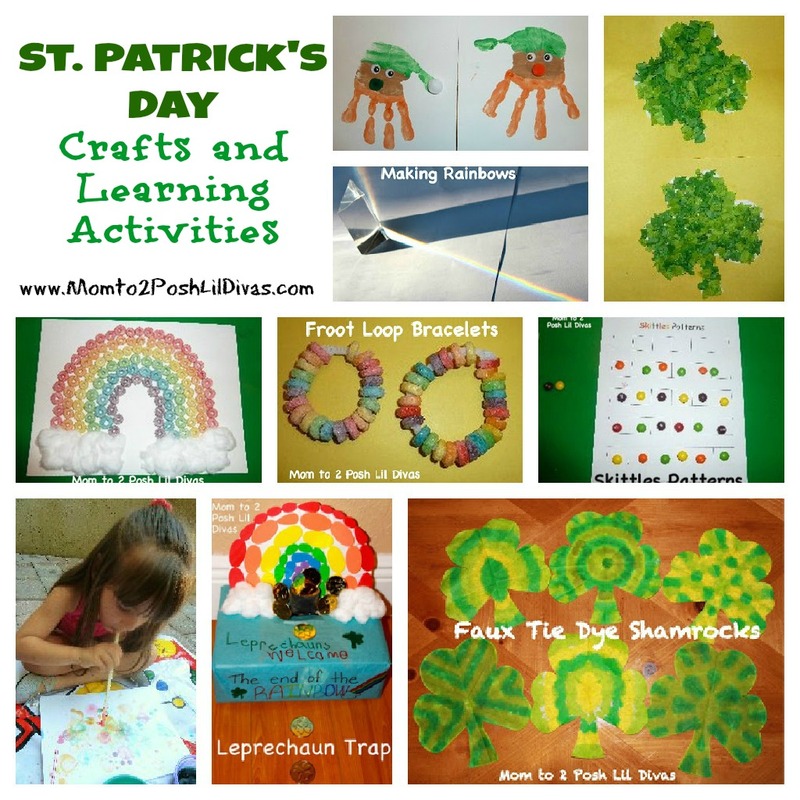 So today I am highlighting some of our favorite St. Patrick's Day and Rainbow themed crafts, learning activities and kid friendly snacks for you. I hope you find some inspiration here. I enjoy making the Lil Divas' after school and weekend learning fun and playful. One of the ways I do that is by incorporating crafts and holiday themes into our activities since they don't have as much time for these types of activities at school. After all, learning doesn't stop with the school day but it can be informal, playful and fun! Kids love fun food. My favorite thing to do is to make special pancakes for the Lil Divas for each and every holiday, no matter how big or small. They get such a kick out of it. I have my thinking cap on for what I can make this year but for now I'd like to share some special treats I made in the past. Do you have any St. Patrick's Day treats, crafts or activities to share? I'd love for you to share in the comments below. Check out my St. Patrick's Day Pinterest Board for even more fun ideas. Our wonderful Kindergarten teacher had the kids devise a leprechan trap out of anything they could find in the classroom. They worked together in teams planning and building it! She also put green dye in the toilets on St. Patrick's Day. They loved it!